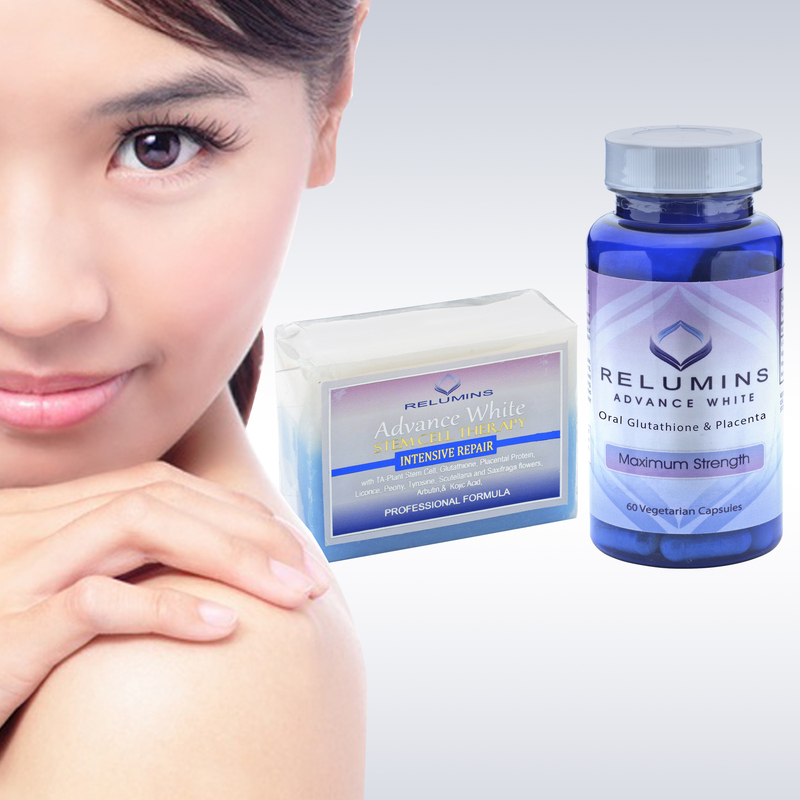 - Soap & Oral Gluta work together to give you amazing, glowing, healthy, whiter skin. 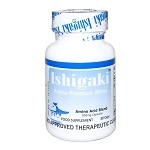 - 100mg of Rose Hips, which fight skin pigmentation and speed up the healing process. They are rich in moisturizing fatty acids and powerful antioxidants. Rose hips push the skin to regenerate when it has been damaged by the sun and other environmental elements. - Placental protein enhances skin's elasticity and moisture and stimulates cell renewal to revitalize the skin. Fight skin pigmentation and speed up the healing process. They are rich in moisturizing fatty acids and powerful antioxidants. Rose hips push the skin to regenerate when it has been damaged by the sun and other environmental elements. Highly-recognized cosmetics ingredient due to its exemplary skin-whitening property that actively influences the activity of tyrosinase, a component of melanin. In fact, it is the most popular and widely used skin whitening agent in Japan. It is commonly infused in topical products, supplements and even in fillers or injectibles. It actively controls melanin production to whiten skins complexion thru influencing the activity of tyrosinase. It provides more nutrition to the skin, whiten skin, rejuvenate and transforms it faster. Capsules: 1 capsule with breakfast and 1 capsule with dinner or as advised by your physician. SAFETY: As with all supplements pregnant and nursing mothers should consult their physician. 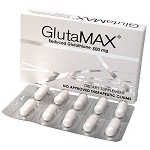 Glutathione has cellular protective properties that make it unsuitable for chemotherapy patients. 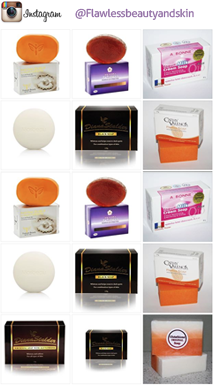 Soap: Lather soap and apply to treatment areas. Leave the soap on for up to 1 minute. Rinse first with warm water followed by a cold water rinse to tighten pores. Apply once per day and increase to twice a day if well tolerated. If dryness occurs follow with a moisturizing cream. 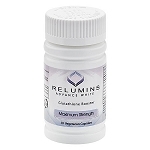 I'm on my second bottle of Relumin Adv. White Oral capsule. I started noticing a difference after two weeks. Now on my second bottle, I have even skin, prior to this, I've used Makari Oral capsule for over two years with no dramatic result as using Relumin Oral capsule. I'm already telling my family and friends to try it. I am a black woman, I noticed my face is much darker that my body and it was causing me embarassement. I wanted both my face and body to be even. I'm seeing a difference now and get lots of compliment. The oral capsules are definitely a must try. 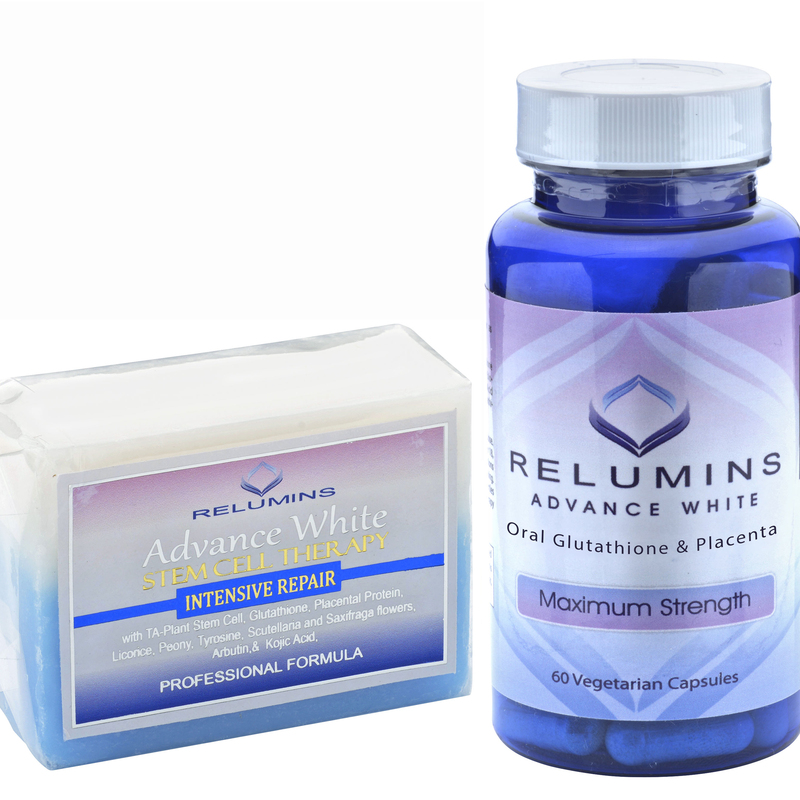 I have been searching for the right whitening capsules and I have finally found the one. Complexion of my skin have gotten lighter and I see that my skin is glowing under the sun. I am almost finished with my first bottle and I had already purchased my second! I take one before breakfast and one before dinner and wait 10 mins before I eat. 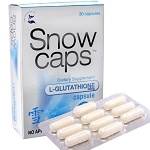 I give this 4 stars because the capsules are quite big and it's not easy to swallow. Wished it had come in a smaller pill. Also, the soap smells good but it dries my skin on a daily use. So I tend to use the soap every other day. 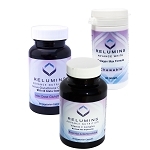 Ive been using relumin whitening oral pill for two weeks now and I can say its working well with me..I can see my skin lightens and I always gets compliments from my coworkers! !I'll definitely order my second bottle...thanks!! This is my first time to take glutathione because i was kinda scared to try anyone but when i heard about Relumins i told myself why i dont give it a try. When i got my first bottle i was so happy with the result it really glows my skin & it feels very smooth. Relumins soap is also perfect its very mild. 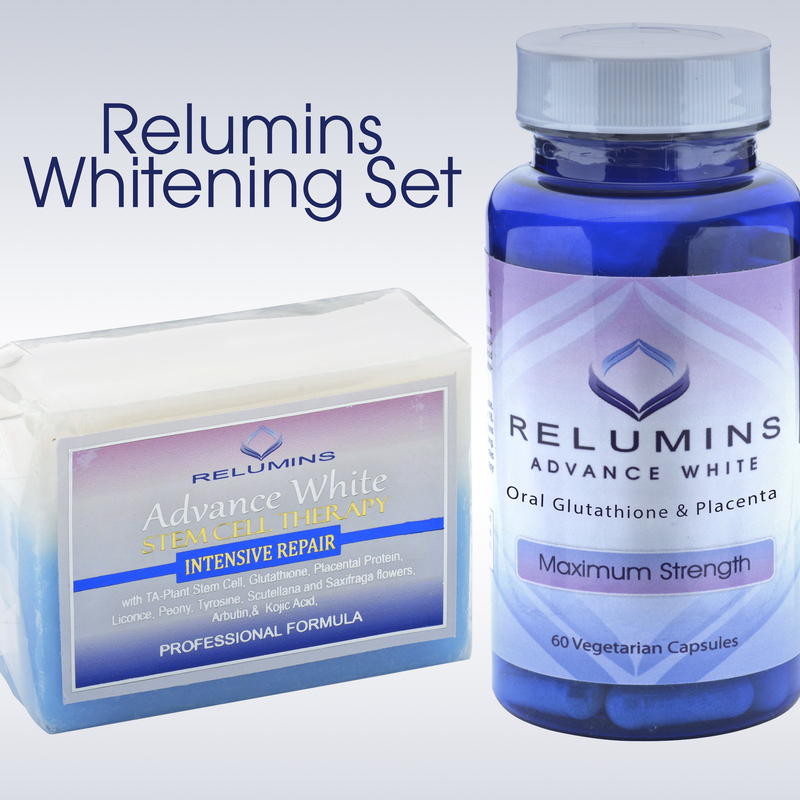 This is my 3rd time to order and would love to try some of the relumins product. Thank You ?? 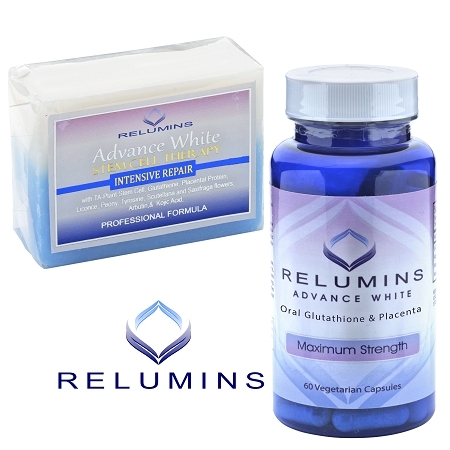 - Relumins glutathione oral whitening formula - Not sure if this product helps with the whitening side on my skin (I have asian fair skin), but I don't see any changes in my skin tone after taking this product. Don't know if it's related, but somehow this tablet helps with my allergic symptoms to dust and pollen. Since I consumed this tablets I feel less and less irritated when it comes to hay fever season, which is a winning side. No runny nose, or itchy eyes ever again. So for the tablets: love it! - Relumins advance stem cell intensive repair soap - I'm a fair but flaky skin, and in needs of a smoothing skin so I interested to try on this soap . First day I put on this soap onto my skin I can feel the tingling, which is normal (I guess). I only put on less than one minute everyday cause I can't bare the burn feeling on my skin. After one week that burn feeling was still there (I thought it would go away when your skin get used to it). It does exfoliate and tighten my skin but that was it. It didn't changed my skin tone or anything, just exfoliates. It dries up my skin even more. The soap lasted me for three weeks, and I still can't see the great result. So I think this soap is just not for my skin. And for the people who running this website, I love the way it was so quick to respond. Fast shipping and I received the packages and they're individually wrapped carefully. 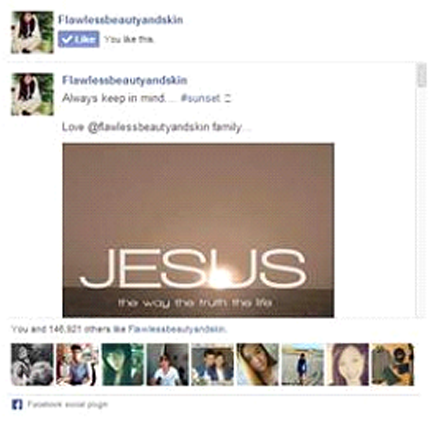 Thank u Suzzy!